On Wednesday 13th February, we celebrated the achievements of children who have shown pride in their work during the past half term. 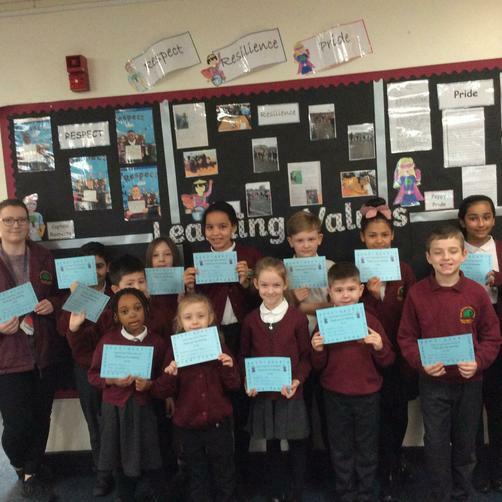 They were all presented with certificates in a special assembly and will be having a superb celebration part with Mrs Morton and Mrs Rowlett on Friday afternoon. Well done to all of our winners- we are so proud of you. Stay tuned for information about our next learning value!